Dillard E. Pinion, age 68, passed away at Turkey Creek Tennova Hospital in West Knoxville on Wednesday, January 23, 2019. Dillard was born on Christmas Day, December 25, 1950 to Joe and Vonniece Pinion in Lambert, Mississippi.His family moved to Genoa, Illinois on July 6, 1960 where he remained until hisenlistment in the US Navy, upon completion of his tour of duty he settled in LaFollette, Tn and took care of his elderly parents.Dillard accepted Jesus Christ as his personal Savior as a young boy and was baptized by the Rev. Frank Frost. He was a member of the First Baptist Church of Sycamore, Illinois He was employed by A&S Steel in Lake City, Dillard loved farming and working outdoors. Dillard was always ready to lend a helping hand to anyone he saw in need. He loved to joke and tease and exercised this talent quite often. He will be missed very much by his family and friends. He was a bachelor, he never got married, but he took great pride in his nieces, nephews and cousins and the children of his friends. Dillard is preceded in death by his parents Joe and Vonniece Pinion, brothers Joe Pinion Jr, (Sonny) and David Pinion, sisters, Polly, Joyce Underwood O’Bryant and Sybil Marie Carr, nieces, Tracy Brooks and Samantha Davis, nephews, Steven Carr and Shane Davis, great nieces Britany Underwood and Mira Hardin, brother-in-law, Cordell Davis, sisters-in law, Lynette Pinion and Connie Jo Pinion. Dillard is survived by; brothers, Vic Pinion of Corpus Christie, TX, Eric (Barb)Pinion of Maple Park, Illinois, Dan (Sarah)Pinion of Maqueketa, Iowa and Terry Shannon Pinion Sr. (Linda) of Crossville, Tn sister, Patricia Vonniece Davis of LaFollette, Tn and lots of nieces, nephews, cousins and friends that were precious to him. Visitation will be 11 AM – 1 PM Friday, February 1, 2019 in the chapel of Martin Wilson Funeral Home followed by funeral service at 1 PM with Rev. Bo Freeman officiating. 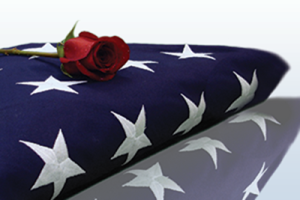 Interment will follow funeral service to Peabody Cemetery.